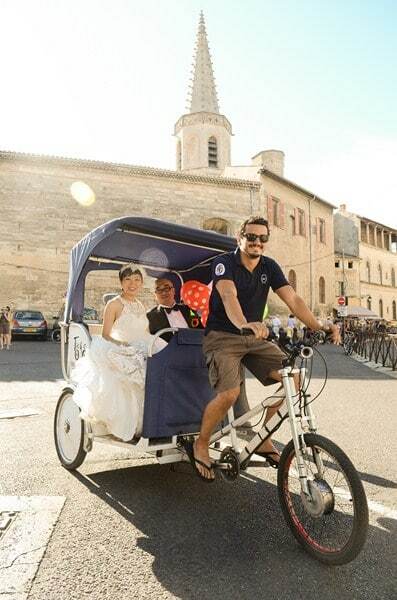 Your original wedding in Arles with Taco and Co !!! 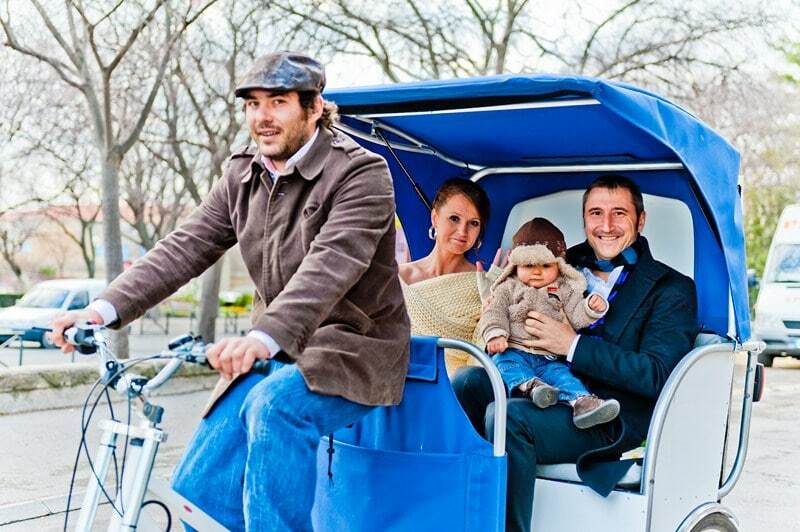 Forget the car to go to the ceremony, it’s the bike-taco you need! 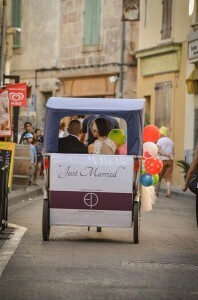 -Transport of the bride and groom and / or guests. 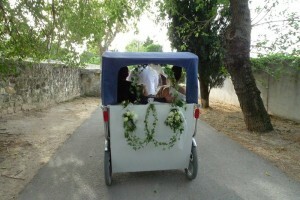 -Floral decoration and / or display on bike. 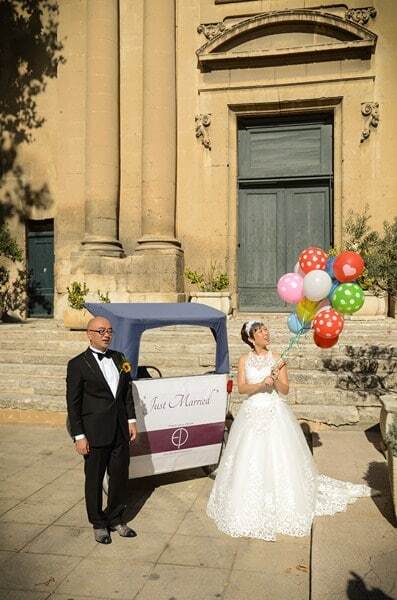 In partnership with Pixels Events we can also take care of the photo shoot of the newlyweds in Arles or at the reception. Do not hesitate to contact us if you want a quote or information. Wedding poster in Arles: Congratulations to Cécile and Thierry !!! 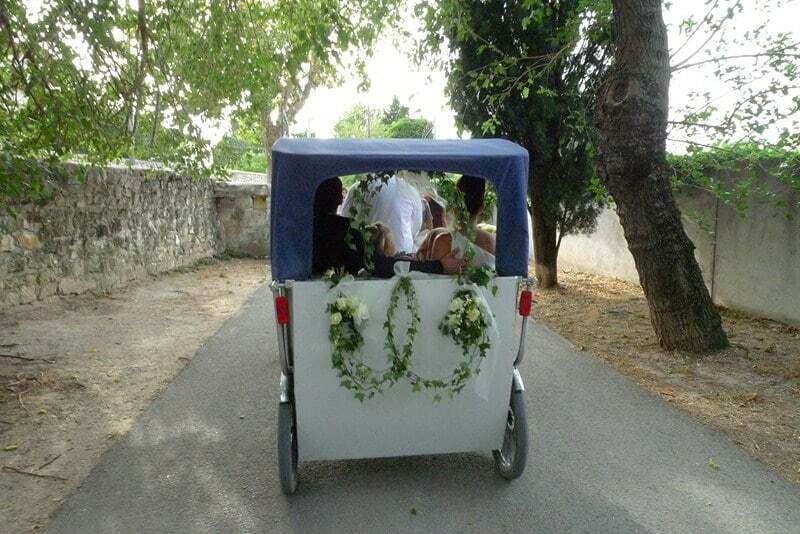 Floral decoration for wedding in Fontvieille.